Town officials plan more testing at Highland Lake Beach and say low water levels and the presence of birds may have played a role. Highland Lake Beach in Bridgton was closed to swimming Tuesday but will remain open for picnicking and launching of boats. Swimming lessons were moved to Salmon Point. 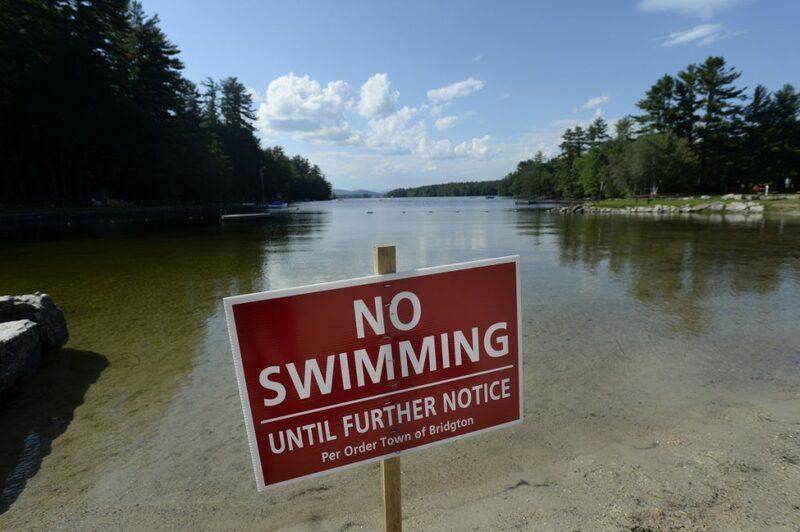 The town of Bridgton has closed Highland Lake Beach to swimming because of high levels of E. coli in the water. Town officials announced Tuesday that testing done Monday at the beach indicated an E. coli count that is above the acceptable limit and immediately closed the beach to swimming. The cause of the high count is unknown, but local fowl and low water levels may have played a role, officials said in a statement posted on the town’s Facebook page. The town on Tuesday sent out additional samples for testing, and officials plan to share the results with the public by the end of the day Wednesday. Highland Lake Beach will remain open for picnicking and use of the boat launch. Swimming lessons normally held at the beach have been moved to Salmon Point. Escherichia coli, abbreviated as E. coli, are bacteria found in the environment, foods and intestines of people and animals. Some strains of E. coli are harmless, but others can cause diarrhea, urinary tract infections, respiratory illness or pneumonia, according to the Centers for Disease Control and Prevention. On July 6, the town closed Woods Pond Beach for four days when nearly 100 people became sick with norovirus after swimming at the beach or coming into contact with someone who did. Multiple people had contacted the Maine CDC, saying they became ill with gastrointestinal symptoms after visiting the beach earlier that week. Water from the pond and the sinks in the public bathroom was tested July 9. The beach reopened July 10 when tests showed the swim area had E. coli levels within acceptable limits. The water from the bathroom taps failed the test, however, and the town planned to remove those sinks.